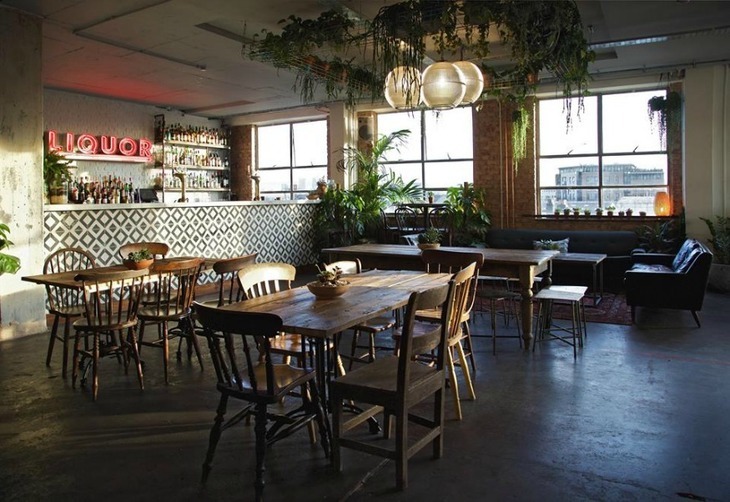 There's a growing list of specialised bars in London offering a boozy Caribbean fix. From tacky tiki cocktails, to carefully selected tasting flights — our city is flooding with rum. A rum cocktail and an excellent shirt at Trailer Happiness. 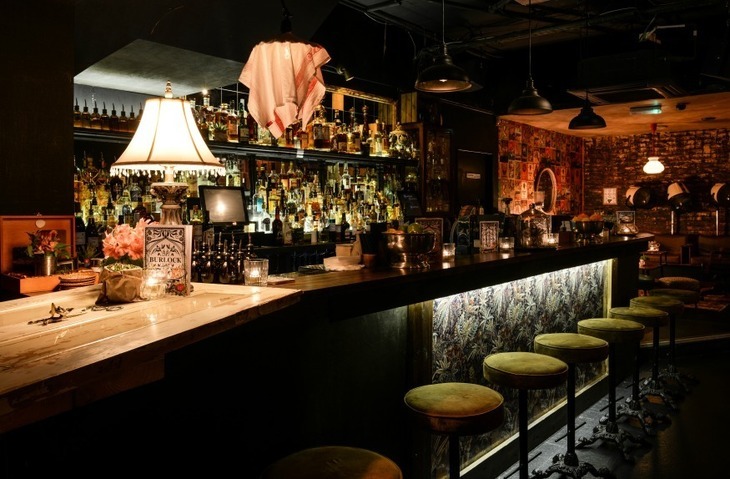 This shabby chic rum bar (from the guys behind Opium and 68 and Boston) feels more hip Shoreditch than swanky Mayfair, with its hotchpotch of antique furniture, mismatched wallpaper and tattooed staff. It's an intimate place, with a Havana style barber shop in the corner, where you can sip your rum from a retro dryer chair. There are 200 rums behind the counter, from all parts of the Caribbean. Try the Off the Hook, with Mount Gay Black Barrel, Lillet Blanc, Mandarin Napoleon Bitters and a slab of home-made coconut Ice. Team up your drinks with some tropical-style bar snacks, priced from just £1 (for the Brazilian cheese buns). But you'll have the most fun pulling up a seat at the bar, make friends with the bar guys and they'll treat you to an impromptu rum tasting. 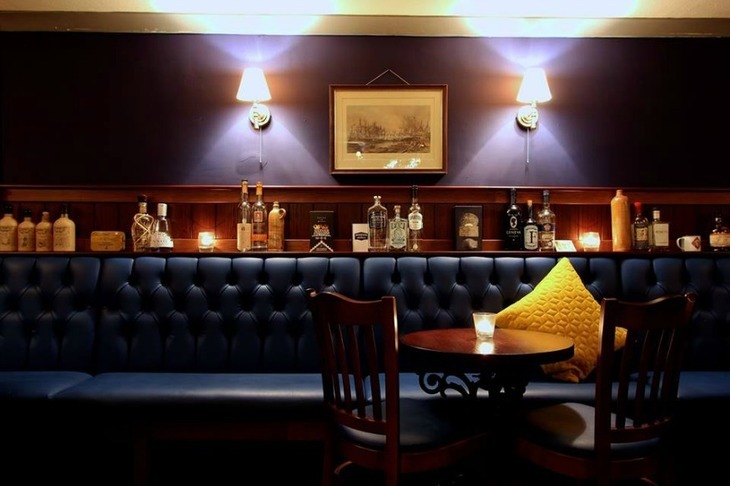 The cosy interior at Burlock. This low-key Jamaican style bar is located under two railway arches underneath Deptford train station. 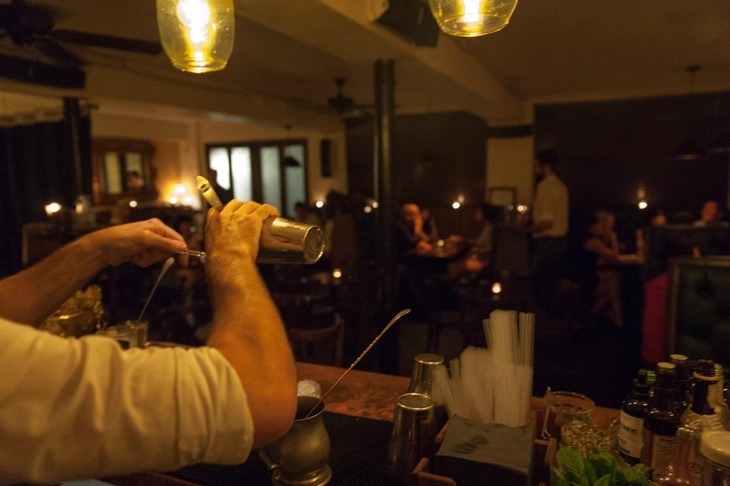 It's a simple, low-lit spot where the cool kids come to tuck into boozy rum tipples. It's a short and sweet menu, with a focus on the Caribbean spirit, with Jamaican twists on classics and a powerful rum punch. (P.S, fom 5pm-7pm it’s two cocktails for £10). There's also an open kitchen, complete with jerk barbecue drum, made by a local Jamaican guy Everton. Buster Mantis is located under Deptford's railway arches. 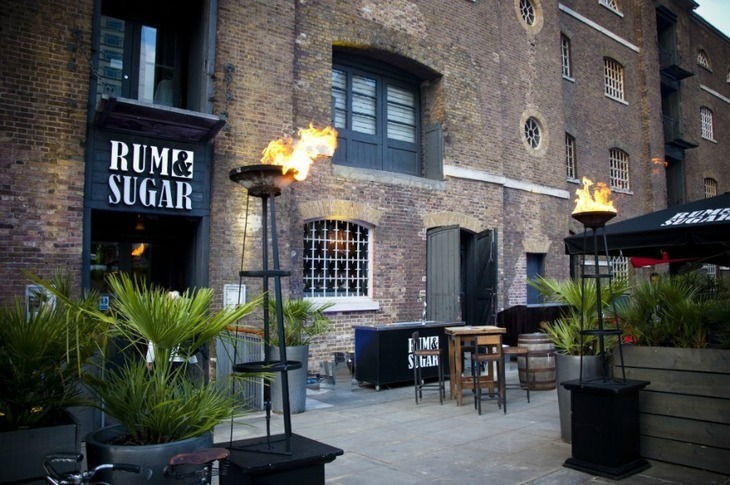 Set in a converted warehouse over in West India Quay, this place used to store rum that came off ships in London's docks. Today it's a rum-dedicated bar with a 150-strong collection. They also have an extensive cocktail list, with five different types of mojito to work your way through. Or, if you're a more serious drinker, try the tasting flights; choose from the Nicaraguan flor de caña range to the Barbados coast-to-coast menu. Feeling peckish? Team up your tipple with rum glazed ribs. 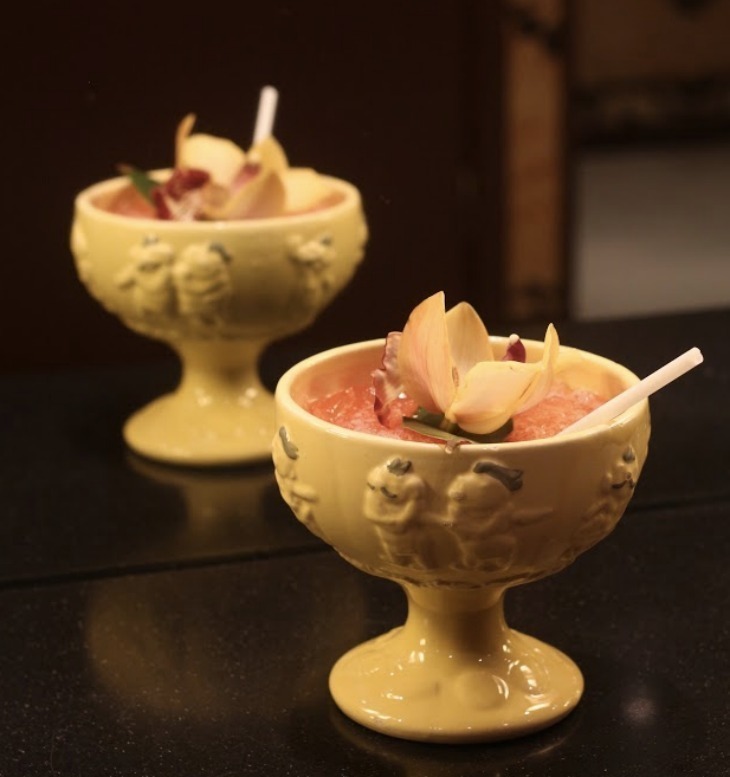 This fun, chic Mayfair bar is a London tiki staple. Around for 50 years, the original owner allegedly served up the first mai tai in 1944, when a customer upon tasting the rum drink remarked "Mai tai roa ae!" which means "Out of this world!" in Tahitian. As well as this must-try classic, there’s also a heaving tropical-style cocktail list. For this part of town, the drinks are surprisingly budget-friendly, starting at £6.50. In a group, try a festive communal bowl, based on ancient Polynesian's ceremonial Luau drinks. A cocktail at Trader Vic's. All three Cottons bars are oozing in exotic and colourful Caribbean vibes, with tropical beach and jungle murals adorning the walls of the Notting Hill and Camden venues — the latter (and original of the three venues) leads the way with its huge 300 rum collection, claiming to have the largest selection in the UK. The east-based Cottons has a far more temporary feel, pitched up on the Boxpark indoor terrace — it's all very no-fuss, with simple tin chairs, fairy lights and wooden floorboard walls. If it wasn't for the chilly London climate, you could believe you're pitched up in a road-side Caribbean booze shack. Cottons Rhum Shack, Camden: 55 Chalk Farm Road, NW1 8AN. Shoreditch: 130-132 Curtain Road, EC2A 3AR. Notting Hill: 157-159 Notting Hill Gate, W11 3LF. The swish interior at Merchant House. If tacky tiki isn't your bag, check out the strong 300-long rum list at the swish Merchant House on Bow Lane. (They also have an equally strong gin list — their other big focus). The cocktail menu is more like a history book, the story of British Empire, with each of the 18 cocktails representing a particular historical event or period from this time. The Cane Field Cooler, for example, represents the boom in wealth for plantation owners in the Caribbean during the 18th century. A cocktail at Rum Kitchen - complete with skull. 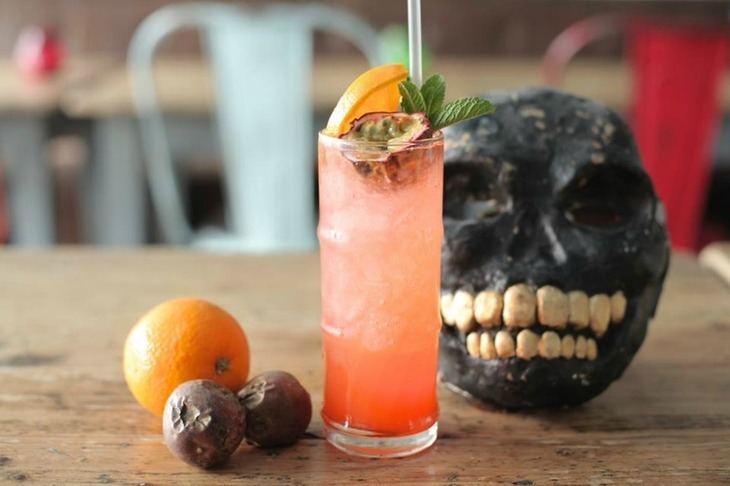 Get a decent rum dose at these lively bars in Brixton, Soho and Notting Hill. Here you'll find fun colourful cocktails — try the Tiki Negroni, for a tropical take on a classic, with Bajan rum finished in charred cask, cognac, Aperol, citrus and spice. Soak it all up with mountains of jerk chicken (and a whole load of other colourful dishes). The flagship west London venue has just had a revamp with the downstairs basement club transformed into a plush cocktail lounge. They’ve also bumped up their rum collection to 200 rare bottles (it recently made the shortlist of trade mag Imbibe's Rum List of The Year). Take note: this place is strictly members only after 10.30pm. Some pouring action at Nola. 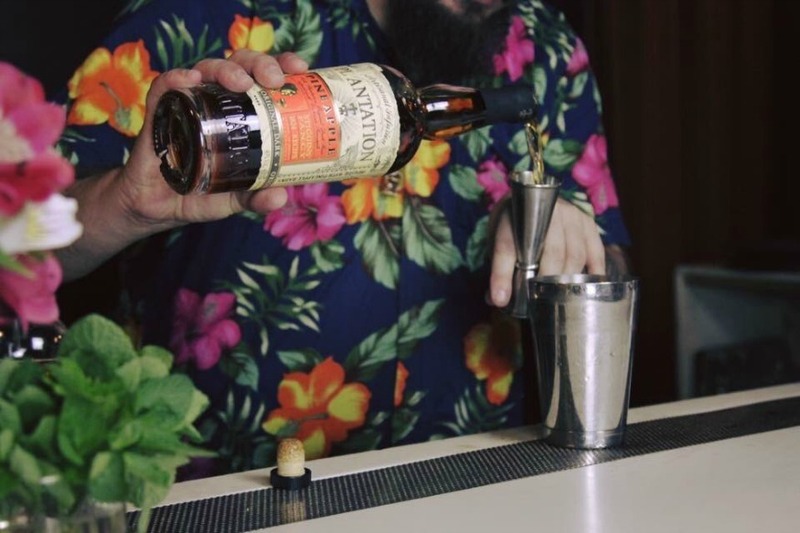 Head down to this hidden tiki basement bar on Portobello Road — it's like walking into a 70s living room, with wood panel walls, patterned rugs and shabby curtains. The rum-heavy cocktail list is outrageous and flamboyantly tiki — expect lots of umbrellas and drinks served in coconuts. Not to be taken seriously. This place is also in the running for the Imbibe UK Rum List of The Year award. Head into this intimate New Orleans-inspired cocktail bar, tucked away discreetly on Rivington Street. They've got a long list of The hurricane cocktails (a sweet boozy rum drink), served up here with a bashed up cocktail umbrella. Live jazz and blues on weekends makes you really feel like you’ve been transported to The Big Easy. Another rum bar for those who shy away from plastic monkeys and paper umbrellas. 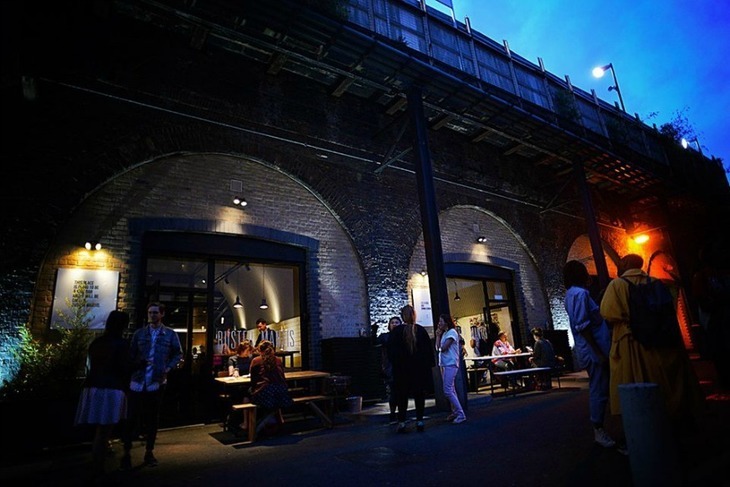 Night Tales last year launched a permanent bar hidden between Netil House and the railway arches. There are 30+ rum bottles behind the bar. Try the Pin-Up Colada cocktail, with coconut infused rum, pineapple juice, sugar and cream. You get great views of the city from up here, with a bonus south-facing sun terrace for the warmer months.